Many PMP Questions from the Procurement Management Knowledge Area focus on the different Contract Types. However, many project managers have never worked in Procurement/Contracts/External Vendors, and they find such questions quite tough. 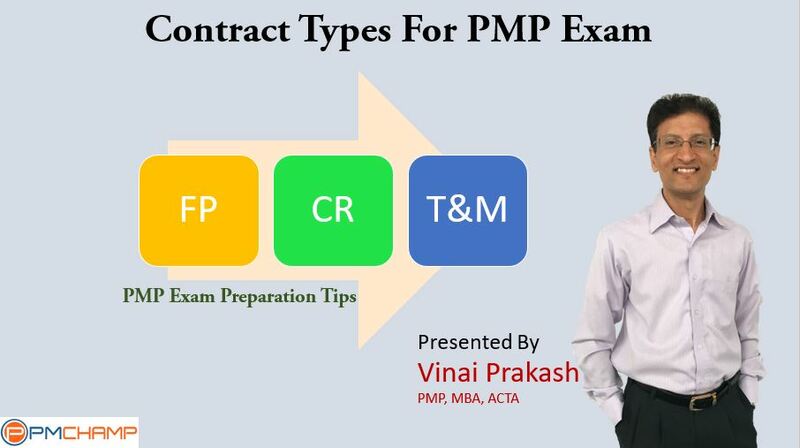 I have now created a complete Video post about the different Key Contract Types that you must know about for the PMP exam. Time & Material (T&M) Contracts. In a couple of future videos, I’ll talk about the variations for each of these contract types, plus tips and hints to answer PMP questions on Contract Types. 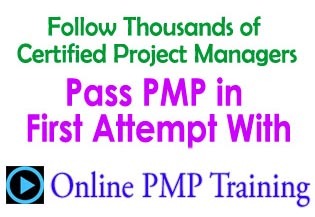 Also see Detailed PMP Exam Answering Technique for CPIF Contract Type Questions involving Calculations. I’d love to hear your feedback, and what you’d like to see on this PMP Exam Preparation Tips blog. Post your comments. PS: Did you read the feedback of PMChamp Online Coaching Student, who recently passed the new PMP Test just last week? I have come to understand the concepts better because of your study materials. Thanks.